Valentine’s Day is right around the corner and we have some ideas for you! Whether you have been together for three months, three years, or 10 plus years I believe getting your significant other a gift on this holiday is darling! 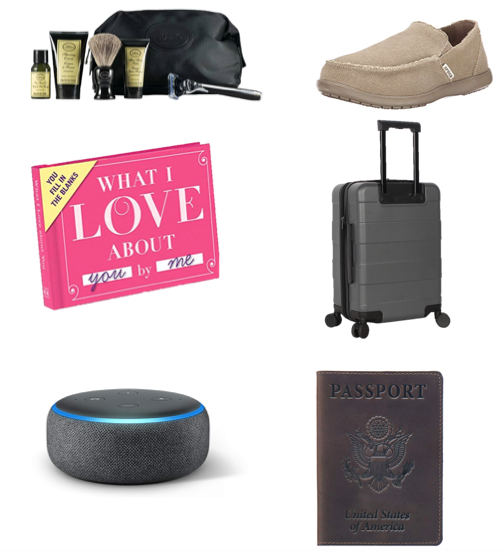 I am starting this gift guide with gifts with us girls in mind, so guys, this section is for you! I was sure to add some budget-friendly ideas and some splurging gifts! We are not sponsored by any of the companies mentioned! Kendra Scott Necklace This necklace is perfect for any gal! Be sure to know her preference in gold, silver, or rose gold before choosing one! If she already has this necklace, matching earring or bracelet would be perfect! Pajama Set Comfy, cozy, and can be worn on multiple occasions! Pjs sets are perfect for any night but also staying the night out of town! What I Love About You This little book is perfect to help you write down what you love about your significant other! It really gets the wheels turning and will sure make the reader feel loved! Ring Dish This little dish is especially perfect for your fiance or wife! It is perfect to have a spot to place your ring when you are doing the dishes, getting ready, or in the shower! Carry On Suitcase Perfect for your traveling companion! 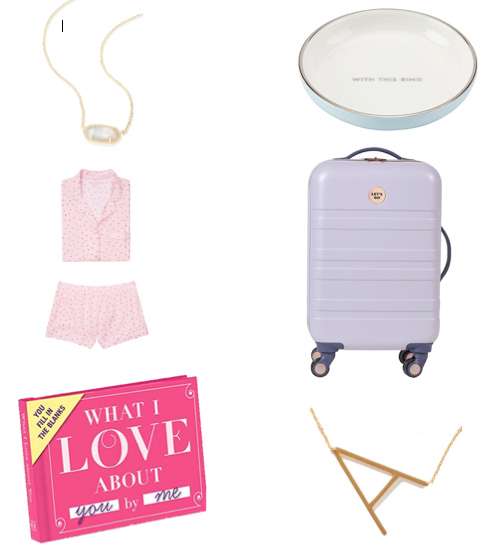 This carry on is also perfect for the honeymoon! Monogram Letter Necklace Dainty at its finest! This monogram necklace will be perfect with casual everyday outfits. If all else fails, flowers are always a beautiful surprise! We know a few florists that make one of a kind bouquets! Shaving Kit The shaving essentials that some men don’t buy for themselves, but sure will love! Echo Dot For your tech-savvy guy, this is the perfect gift for the start of a smart home! This is also a plus because of its benefits for anyone in the house! Loafers Easy and casual, what else would a guy want? Carry On Suitcase Perfect for you traveler for any occasion – especially the honeymoon! Passport Cover Prime to the rescue, another perfect gift for your traveler! I hope you all have enjoyed these ideas! Leave me a comment below if you purchase a gift or two using this guide! Happy Valentine’s Day, lovebirds!